Home / Itineraries / India Itineraries / Food By Celebrity Chefs And Mumbai To Goa in Just 8 Hours. Welcome To Tejas Express! 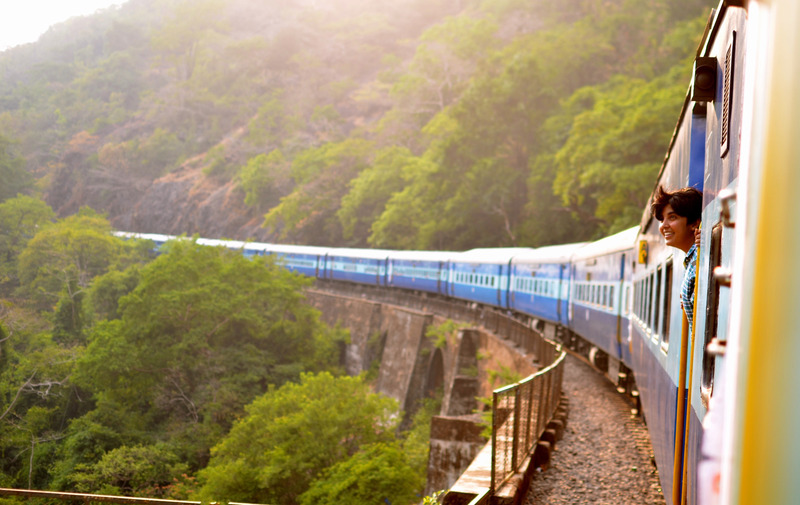 With the aim of providing comfort to passengers during inter-city journeys, the Indian Railways is launching a new premier train called the Tejas Express, between Mumbai and Goa in June. Showcasing the future of train travel in India, the 20-coach train will come fitted with LCD screens, automatic doors, onboard wifi, coffee-vending machines and magazines, among other features. Each coach has cost around Rs 3.25 crore and took six months to manufacture. The newly-designed coaches of Tejas Express can run at a speed of 200 kmph, however, due to restrictions related to rail tracks, these coaches will run at a speed of 160 kmph. Once the train starts operating on the Mumbai-Goa route, the service will be extended to the Delhi-Chandigarh route as well. Also read: India&apos;s First Train With A Glass Ceiling Is Here! Looking for hotels in Goa and Mumbai? Let Tripoto help you find the best ones. Did you know you can sign up for a Tripoto community account and share your travel stories with 25 million travellers? Get started here!